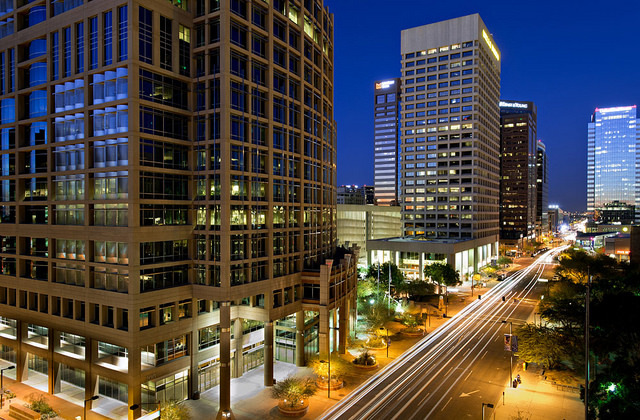 Explore Downtown Phoenix with the Valley Metro. While you might have hesitations about going to a city located in the middle of a desert, Phoenix, Arizona is anything but the typical western town of your imagination. 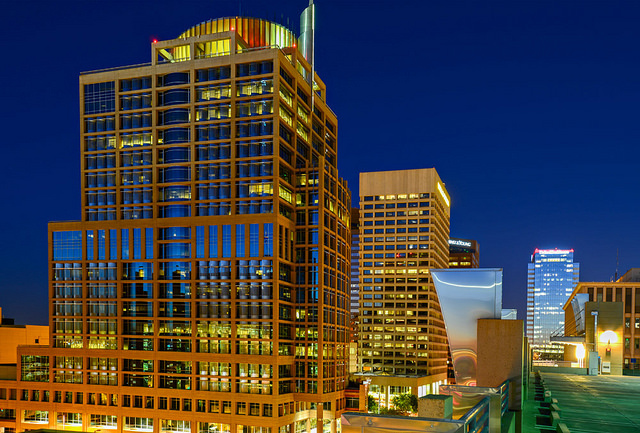 As the most populous city in the Southwest, not to mention the sixth largest city in the country, it’s a hub of activity, appealing to people from all walks of life and with different interests. This, along with its year-round warm weather, has made it one of the top vacation destinations for those coming from the cold North. If you’re planning a trip, we have some helpful hints for getting around in Phoenix. By Car—Because Phoenix is very car-centric, it’s likely you’re going to need either your own car or a rental. It’s the most convenient way to move from one place to another since the city employs a grid system, making it easy to navigate. Valley Metro—A system that combines buses and a light rail line, Valley Metro is relatively cheap. During peak hours, the light rail runs every 12 minutes and every 15-20 minutes during non-peak periods and weekends. For an adult, an all-day pass can cost only $4.00, making it perfect if you’re planning on going out on the town in Downtown Phoenix. For more information, check out ValleyMetro.Org. Interstate 10, Interstate 17, US Route 60, and Arizona State Route 87 are all major roads coming in and out of Phoenix. I-10 enters from the southwest, while I-17 comes in from the north. For access to the east, Route 60 is the best road to take, while Route 87 will lead you northeast. Because the Greater Phoenix Metropolitan area is so large and lacks an abundance of bike lanes, you won’t see many bikes on the busy city roads. There aren’t too many ways of getting around town, though if you’re looking to get out of Phoenix for a bit, you should check out the Phoenix Hot Air Balloon Rides. It’s a great way to see both the beautiful cityscape and the surrounding red rocks! Parking in Downtown Phoenix is surprisingly easy, but Bestparking.Com will still be a helpful resource to use if you’re looking for a spot that fits happily into your budget. Phoenix Sky Harbor International Airport is the largest airport in the area, only three miles from downtown. It’s a hub for both US Airways and Southwest Airlines, with an airport shuttle bus going directly to a remote car rental terminal. Phoenix is known as the 4th highest city in terms of car rental surcharges in the nation, so be aware—it might cost a lot more than you expect. Alternative airports if you’re flying into Phoenix are Phoenix-Mesa Gateway Airport, which is located east of Phoenix in Mesa, and Phoenix Deer Valley Airport, which is the busiest general aviation airport in the U.S.
Desert Botanical Garden——Located in Papago Park, these gardens give visitors a taste of the desert flora that is abundant in the Arizona area. Heard Museum—If you’re interested in learning more about Native American culture, the Heard Museum is the place for you. With exhibitions that look at the culture of tribes in the region, many tourists spend hours just examining the art. Artists even demonstrate their work during the week, while musicians perform on most weekends. Musical Instrument Museum—As the only global musical instrument museum in the world, this attraction offers a look at instruments from all genres of music, regardless of its country of origin. General admission is around $18, though teens and children pay a significantly lower price. Camelback Mountain—For those looking for an outdoor adventure, hiking this mountain will be the attraction for you. Just make sure you’re prepared with lots of water, especially in the hot summer!